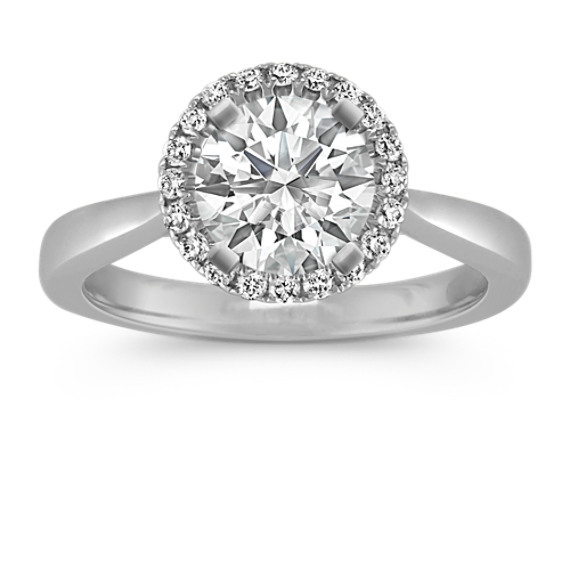 Round Diamond Halo Engagement Ring | Shane Co. Your chosen center 1.00 carat round diamond will glimmer brilliantly within the surrounding halo of this gorgeous engagement ring. This engagement ring setting is crafted of quality 14 karat white gold and is highlighted by 22 round diamonds, at approximately .19 carat total weight. Gemstone Carat Weight :1/5 ct. t.w.